Air-Craftglass has just received news that it has been shortlisted for one of the prestigious International Yacht & Aviation Awards 2018. Hosted by the leading interior design magazine design et al and yacht & aviation design magazine Luxe et al, these awards celebrate the finest design from all over the world. They will be presented at a ceremony held on 18 May 2018 at the magnificent Hotel Cipriani in Venice. The Natural Collection from Air-Craftglass is one of the finalists for the Wallcovering Award. To win, we need to receive votes from our valued customers (current and potential) and anyone else who appreciates the high-tech, innovative solutions and products that we have developed within this collection in recent years. 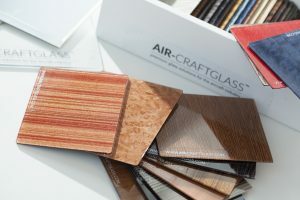 Air-Craftglass is continuously pushing the envelope to give our customers the possibility to deliver better, more advanced and truly unique products. 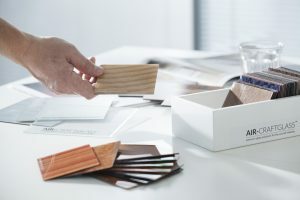 Our Natural Collection, which consists of real wood enhanced with our patented technology and features an exceptionally thin layer of glass, has quickly become a game changer. 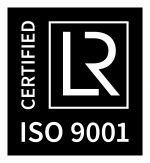 It fulfils all the exacting criteria of both the aviation industry and, recently, also the automotive and nautical sectors – after all, lightweight, beautifully crafted products are the way of the future. You can vote by clicking here. Thank you in advance for your support! At this year’s Aircraft Interiors Expo (AIX) show in Hamburg, Air-Craftglass presented a special new technique which makes it possible to fuse gold, carbon fibre, silver and platinum indissolubly with our mirrors, clear glass and Natural Collection products. Mirrors with a richly decorated edge in gold, embossed details or a platinum logo; or wood with a decoration in carbon fibre: Air-Craftglass’ new technology greatly expands the field of possibilities in advanced glass processing. Our products can now be customised to an even greater degree, responding to the desire and trend among commercial airlines to offer their customers a better, more personal flying experience. Watch this space for more information and the latest news!